The modern veterinary care sector is a field that is very similar to what an individual would find in any doctor’s office or major hospital. Animals commonly receive a high level of care, using sophisticated equipment and highly trained veterinary care professionals. In addition to ensuring that America’s beloved animal companions, farm and zoo animals receive the care that their owners demand, this has also produced a growing demand for qualified employees, among them veterinary assistants. A veterinary assistant is an individual who assists veterinarians, vet techs and other professionals in providing effective care to the animals under their care. Veterinary assistants are not licensed veterinary professionals, but are nonetheless vital to the smooth functioning of a veterinary clinic. Feeding and watering the animals under the care of the veterinarian. This also includes ensuring that each animal is being fed according to the veterinarian’s directions. Cleaning the work areas and animal enclosures in order to maintain a healthy environment and prevent the spread of communicable diseases. The vet assistant cleans and sterilizes operating and examination rooms and equipment. In some cases, the vet assistant may exercise or otherwise work with animals under the vet’s care. This can be especially common in veterinary care facilities that handle equines, and may require extra training on the part of the vet assistant. Vet assistants are expected to observe the animals under their care and immediately report any unusual behaviors or symptoms to their supervisor. Most states place a number of restrictions on what types of services a veterinary assistant can offer. Vet assistants are not allowed to diagnose an animal’s illness, prescribe medication, perform surgical procedures, or otherwise provide services that are limited to licensed vet techs and veterinarians. It is very important that all vet assistants understand what types of services they are allowed to provide, as violating state and federal regulations can result in severe penalties. In addition to working at a veterinary clinic, a growing number of vet assistants work as laboratory animal caretakers, providing high quality care to animals used in modern medical and scientific research. This field offers a number of certification programs from the American Association for Laboratory Animal Science (AALAS), which can enhance a laboratory animal caretaker’s salary and employment prospects. Currently, veterinary assistants can expect a national median annual salary of approximately $24,000 dollars as of May 2012, according to the Bureau of Labor Statistics (BLS). In addition, the BLS states that the top 10 percent of veterinary assistants will earn approximately $36,000 dollars a year. This salary estimates does not include other benefits, such as vacation time and medical plans. However, there is a great deal of salary variation from state to state and even within individual states. The local cost of living, which will determine the minimum competitive salary for vet assistants. The current demand for vet assistants. A high level of demand in a newly urbanized area will often improve salary options for skilled vet assistants. Businesses that demand a unique skill or extra education, such as the optional certification programs offered by a number of educational institutes, may offer a higher wage to qualified applicants. 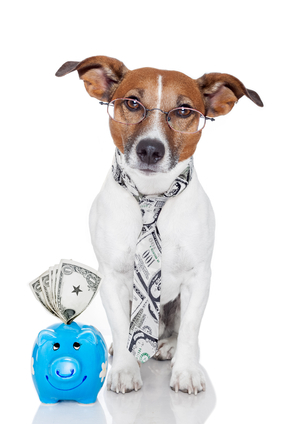 Experienced veterinary assistants can obtain a higher salary due to their former employers’ recommendations. Finally, vet assistants may choose to seek out employment in a specific area for reasons that are divorced from the local salary levels. For example, a vet assistant with young children may seek out employment in areas that have high quality schooling available for his or her children. Although vet assistants are not required to be certified, completing a formal program of education can improve their salary and advancement prospects. Formally trained vet assistants are more likely to be fully trained in the most recent veterinary care strategies and will not require on the job training. For already employed veterinary assistants, obtaining a certification can help maintain their job proficiency, leading to higher wages when compared to less experienced veterinary assistants. The following five states currently offer the best annual mean salary for qualified vet assistants. It is important to note that these states may still experience a great variation in salary levels on a local basis. When considering what state to seek employment in, a veterinary assistant should focus on those factors that are most important to him or her. In addition to the state’s salary levels, the vet assistant should also consider what the local salary levels are, as well as the type of job he or she is seeking. Whether the job site is conveniently located to the vet assistant’s place of residence. If the vet assistant has to relocate in order to take the job, are the costs of relocation reasonable in relation to the vet assistant’s salary levels. The cost of living of the local area. Whether or not the job is likely to be a long-term one. If the vet assistant has a family, will the area suit his or her family’s interests and needs. This can be especially important if the vet assistant’s spouse is also employed. Finally, when considering employment, the vet assistant should also remember to consider his or her long-term future. A vet assistant job that pays slightly less, but has a number of other beneficial factors may be a better choice, as it will result in the vet assistant having a higher degree of job-satisfaction over the course of his or her career. Ultimately, finding the best paying veterinary assistant job can be a vital part of any individual’s career. By realistically evaluating a job’s salary and other options, a vet assistant can be assured of entering an enjoyable and long-term veterinary care career.